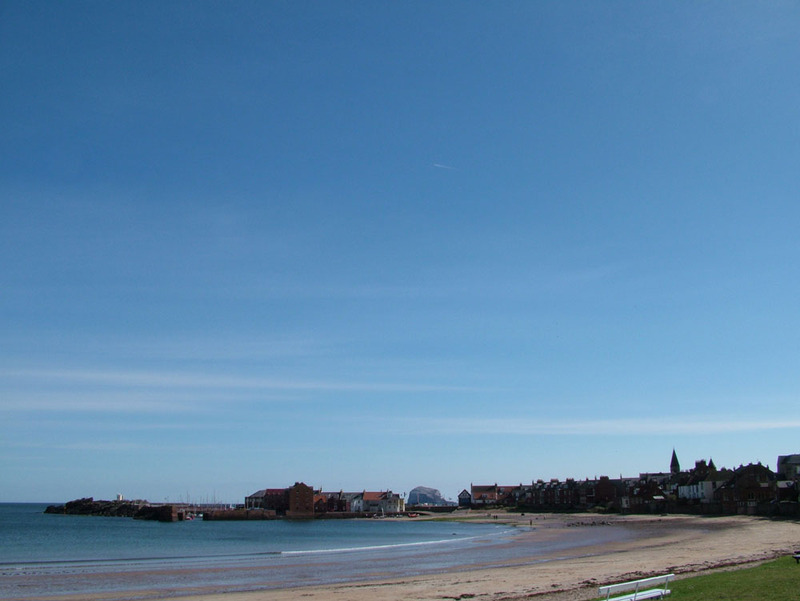 The name North Berwick means North ‘barley farmstead’. Bere in Old English means ‘barley’ and wic in Old English is ‘farmstead’. The word North was applied to distinguish this Berwick from Berwick-upon-Tweed, which throughout the Middle Ages the Scots called South Berwick. It was recorded as Northberwyk in 1250. On the south of Berwick Law there is evidence of at least eighteen hut circles, rich middens and a field system dating from 2000 years ago. North Berwick Harbour was built in the 12th century, and for 500 years there was a ferry crossing to Earlsferry, near Elie in Fife. This was popular with pilgrims to St Andrews. This ferry was recently reinstated; during the summer a boat travels between North Berwick and Anstruther in Fife, in homage to the original ferry. Excavations have shown there was activity at the harbour area from as early as the 8th century, while the “Auld Kirk Green” at the harbour was used for gatherings by the accused in the North Berwick Witch Trials. Legend has it that “Satan himself” attended a ritual there in 1590, although it is more likely that Satan was “played” by Francis Stewart Hepburn, 5th Earl of Bothwell. During the 16th Century at least 70 people were implicated in the Witch Trials, and the events inspired works such as Burns’ “Tam o’ Shanter” and “The Thirteenth Member” by Mollie Hunter. English invaders in the Middle Ages led to the construction of nearby Tantallon Castle, and a nunnery was built at North Berwick. 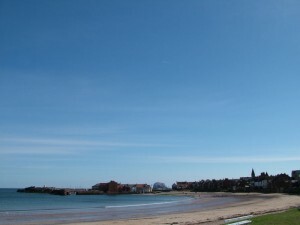 The late 19th century saw North Berwick develop golfing and holiday facilities.